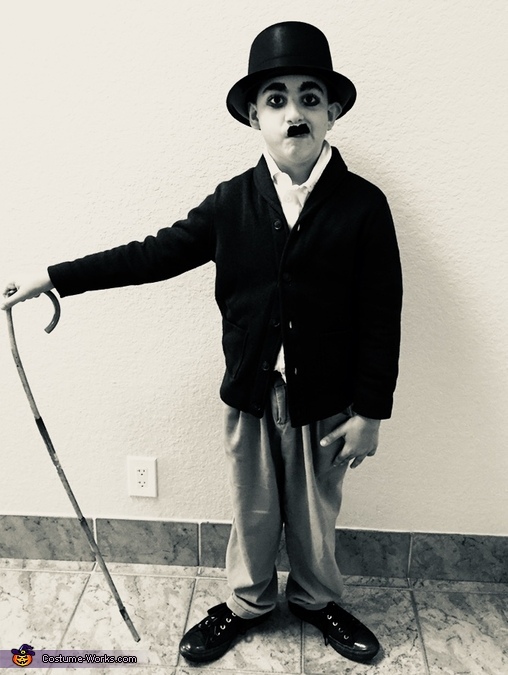 My 9 years old son, loves Charlie Chaplin, so we decided that he will be a Chaplin. We used the big size pants we had, and so the shoes. I find a stick $3 and similar hat $3 at PartyCity. I used a black eyeliner for painting large eyebrows, and mustache. And you can use any similar jacket you have at home.